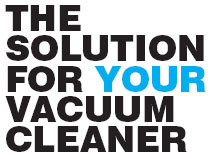 Aqua Jumbo® easy to attach to any make of vacuum cleaner. Art. AJ 4001, contents 8,5 L, Weight 2,1 Kg. For all purpose use. Ideal for the house, garden, garage, workshop, office, boat, caravan, everywhere!! !